When someone is convicted of a Burbank DUI offense, he or she can face additional penalties due to a number of penalty enhancements under the law that increase jail sentences and add further requirements of probation. The following penalty enhancements are often applied to Burbank DUI convictions. If a Burbank DUI defendant has prior DUI convictions that occurred within the last ten years, those prior convictions will be used to enhance the penalties on his or her current DUI charge. A prior conviction for driving under the influence (California Vehicle Code Section 23152(a) VC), driving with a BAC of 0.08 percent or higher (California Vehicle Code Section 23152(b) VC) and even wet reckless pursuant to California Vehicle Code Section 23103/23103.5 VC will be considered priors when considering a subsequent DUI charge if those previous crimes occurred within the past ten years. The penalties for a DUI increase significantly depending on the number of prior convictions the defendant has on his or her record. These convictions can be from any court in California or can be comparable DUI convictions from out-of-state. For a defendant’s second DUI conviction within ten years, the law requires that he or she spend at least 96 hours in jail. Additionally, the 18-month drug and alcohol education class would be required regardless of the defendant’s BAC. The Department of Motor Vehicles will issue a yearlong suspension of driving privileges. For a defendant’s third DUI within ten years, the sentencing judge will impose at least 120 days in jail. The defendant would also be required to take the 30 month alcohol class. For a defendant’s fourth (or subsequent) DUI conviction within ten years, felony charges may be filed by the District Attorney. If convicted of a felony level DUI, the defendant can be sent to prison for a period of three years. If the case is filed as a misdemeanor, the maximum jail time that can be imposed is one year in custody. The penalty speed enhancement pursuant to California Vehicle Code Section 23582 VC will significantly increase the jail penalty on a defendant’s DUI conviction if proven. To prove this enhancement, the Burbank City Attorney must be able to show that the defendant’s driving was excessively fast and was reckless. The speed must have been 30 mph over the speed limit if the offense occurred on a freeway or 20 mph over the speed limit if the offense occurred on any other road. Simply speeding will not trigger the penalties of the speed enhancement. The defendant must also have exhibited reckless driving conduct that created a significant danger to other vehicles or pedestrians on the road. Prosecutors in Burbank can also allege a penalty enhancement in a DUI complaint under California Vehicle Code Section 23572 VC if there was a child under the age of 14 in the vehicle at the time the defendant was stopped. On a first-time DUI, this enhancement will tack on an additional two days in jail. If the defendant has one prior DUI, the additional jail time is 10 days. This increases to 30 days for a third DUI conviction and 90 days for a fourth or subsequent DUI offense that is not filed as a felony. A defendant caught with a minor in the vehicle is also potentially exposed to criminal charges for child endangerment pursuant to California Penal Code Section 273(a) PC. This offense can be filed as a felony and can lead to prison sentences, if convicted. Other conditions will lead to enhanced penalties on a Burbank DUI offense. Having a blood alcohol content of .15 or above and refusing to submit to chemical testing can lead to additional penalties such as a longer alcohol education program, community labor r service requirements or enhanced fines. 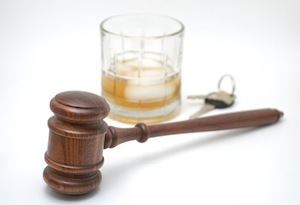 If you have been arrested in Burbank for DUI, it is important that you speak with a Burbank DUI Attorney immediately. As a former Deputy District Attorney with over 14 years of prosecutorial experience, Burbank DUI Lawyer Michael Kraut is widely respected in the Burbank area for his knowledge and ability to fight DUI cases. For more information about Burbank DUI penalty enhancements, and to schedule your free consultation, contact Burbank DUI Defense Lawyer Michael Kraut at the Kraut Law Group located at 2600 West Olive Avenue, 5th Floor, Burbank, CA 91505. Mr. Kraut can be reached 24/7 at 818-563-9810.